If put that way, Im.Pro.Vise there is every suggestion that the music here is important, professional and has a wisdom that comes down from the ancestors of this great music of jazz. 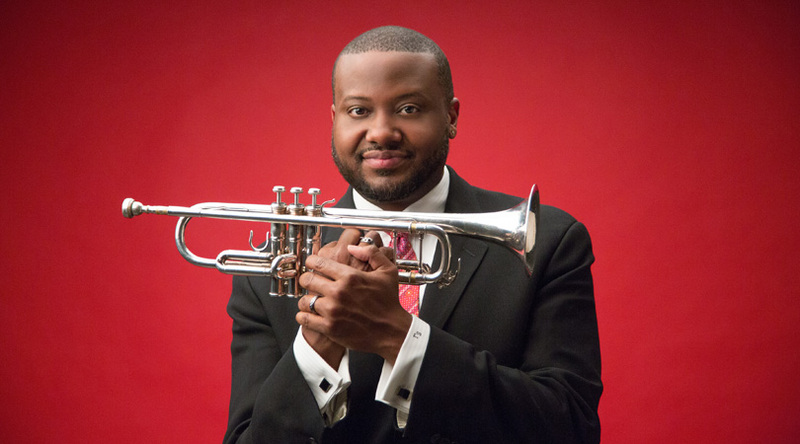 Moreover, the musician in charge of seeing it all through has turned into a true master of his instrument—the trumpet—and has found a singular voice along the way. His wail is authentic and the manner in which he chokes his horn on muted passages he recalls some of the greatest voices in jazz. Mr. Jones lines are spare, but warm (sometimes white hot too) and they are profoundly beautiful and spun out like fine threads of gilt-laden gossamer. There are no rapid lines, no vaunted runs, but when there are glissandos they lace poignant arpeggios played with some so much certitude that nothing is ever out of place. It is by playing like this that Mr. Jones recalls the manner and technique of a great, but little-known horn player, the great Clarence “Gene” Shaw, whose work with Charles Mingus on Tijuana Moods put him in the league of another great horn man—the incredible Thad Jones. Sean Jones humbly submits himself to be judged in the same class as those men with the marvelous sound and space in his music. 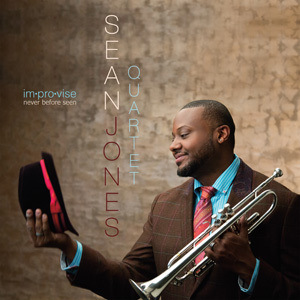 Moreover, Sean Jones phrases his retinue of notes and lines like some of the great vocalists, including Frank Sinatra, who in turn emulated Louis Armstrong. By Implication, then, Sean Jones recalls the vocal and recitative style of Satchmo as his inexorable music unfurls from the bell of his horn. This magnificent lineage with New Orleans shows itself in the swaggering lines of “I Don’t Give A Damn Blues,” a song of immense power like a force of nature. It is also here that the band rises to the occasion like proverbial musical warriors. It must be said, however, that pianist Orrin Evans is perhaps the closest thing to a blood brother that Sean Jones can have. The pianist acts as a kind of doppelganger mirroring not only the trumpeter’s lines and emotions but seemingly his heartbeat itself. There is much evidence of this in “We’ll Meet Under The Stars.” The two dialogue like the characters in the song, enlivening the music with animated voices and personalities. This two-way yammering sometimes extends to include the bassist Luques Curtis and the fabulous drummer Obed Calvaire as well. When this happens the room begins to hum as if the music resonates on its own filling the room with sound. The inspiration must have led the trumpeter to record the duet “Not When I’m Around” with the pianist Orrin Evans and not a note is wasted here. The trumpeter and pianist communicate almost telepathically and this makes for a performance that seems to be almost improvised on the spot as Sean Jones plays the melody and Orrin Evans harmonises letting the song spin gently out until its ending. While this album is considerably less explosive than Mr. Jones’ last outing for Mack Avenue, “No Need for Words,” the heat of his emotional playing burns brightly on throughout Im.Pro.Vise too. Track List: 60th & Broadway; Dark Times; Interior Motive; The Morning After; I Don’t Give A Damn Blues; Dr. Jekyll; How High The Moon; We’ll Meet Under The Stars; New Journey; Don’t Fall Off The L.E.J. ; Not While I’m Around. Personnel: Sean Jones: trumpet; Orrin Evans: piano; Luques Curtis: bass; Obed Calvaire: drums.